its pro-employee policies and its deep humanity. For as long as I have lived in the Walla Walla Valley, I have admired Broetje Orchards for its contributions to the community, its pro-employee policies and its deep humanity. Several of my students at the community college, children of migrant workers, have benefitted enormously from the financial support from Vista Hermosa scholarships supporting a first generation of college-bound students. I have also witnessed the testimony of Broetje employees encouraged to pursue a broad range of educational opportunities to enhance their language skills, coupled with enhancing their work and life skills. 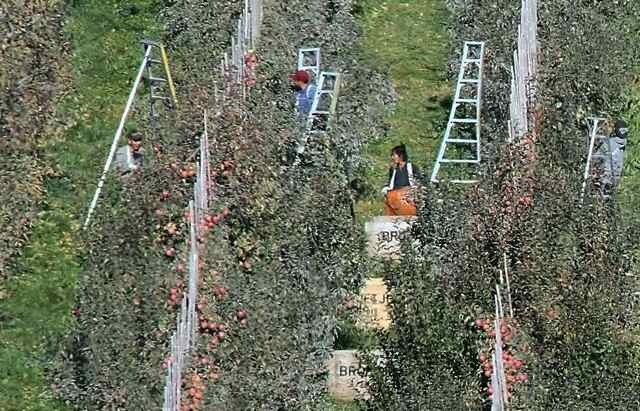 Not long ago, I also recall a devastating shortage of workers, leaving apples to rot on the ground. It saddens me that no sensible solution has been reached to resolve agricultural labor needs with unaccommodating immigration, or guest worker, policies. Broetje Orchards responded that "this case highlights what is clearly a dysfunctional and broken immigration system ... The agricultural labor shortage needs to be fixed, and now." Broetje Orchards has been so forward thinking, community minded, and open hearted that the penalty they have incurred is almost shameful. Over all the years of operation, Broetje Orchards has generously given our broad community so much more than it has incurred in its unprecedented financial penalty. I hope the citizens of the Walla Walla Valley will join me in supporting Broetje Orchards in their efforts to bring about a more equitable immigration and guest worker program that benefits us all.